A Walz in the park . 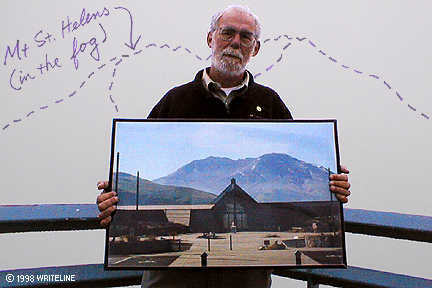 . . Jim Walz, Interpreter at Coldwater Ridge in Mount St. Helens Park, shows us the view we would have seen from the observatory if not for the fog. 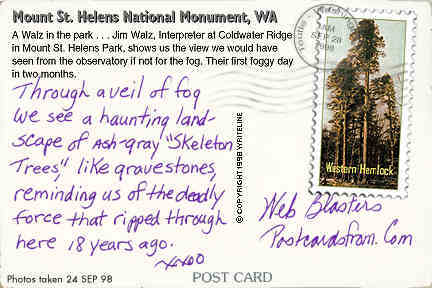 Their first foggy day in two months.